Aqua Expeditions has long been known as a leader in Amazon river cruises, offering luxury cruise experiences through the Peruvian Amazon and recently extending to the Mekong in Southeast Asia. Rainforest Cruises is proud to sell trips on two of Aquas beloved boats, including an upcoming set of special excursions with the founder of Aqua Expeditions himself, Mr. Francesco Galli Zugaro. 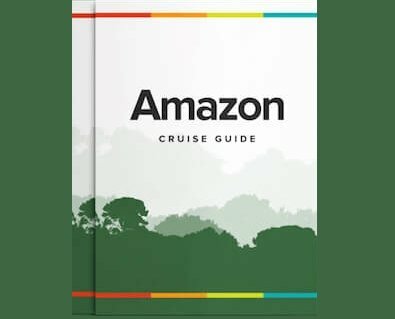 For no additional cost, guests can ride through the Amazon on Aqua’s luxury riverboat with Mr. Galli Zugaro, learning about his creative vision for Aqua Expeditions, asking him about his experience, and even kayaking through the rainforest to spot wildlife with the enthusiast. Anyone interested in cruising, the Aqua brand, business, or simply a more personal cruising experience won’t want to miss this unique opportunity to travel on Aqua Expeditions with the founder. Mr. Galli Zugaro has had a lifetime of experience in international tourism and the global marketplace, giving him the foundation to create Peru’s first luxury river cruise company, Aqua Expeditions. Now having expanded globally to the historic Mekong River in Cambodia and Vietnam, Aqua Expeditions is known as an internationally respected leader in the industry. The CEO and founder of Aqua Expeditions, Mr. Galli Zugao personally oversaw the design and launch of Aqua Expedition’s first two vessels on the Peruvian Amazon (the Aqua Amazon in 2008, and the Aria Amazon in 2011). Two years later, Zugaro supervised construction of the company’s newest ship, the Aqua Mekong, which launched in Vietnam in October 2014. Under his leadership, Aqua Expeditions has become renowned for its trailblazing style, quality travel experiences, and has earned prestigious awards from the international design community. Mr. Galli Zugaro now regularly speaks at leadership events, sharing his insights on innovation, entrepreneurship and travel market trends. The distinguished speaker has presented at a range of gatherings, from the Sydney Lux Experience to the International Luxury Travel Market, among others. Those booking one of the trips hosted by Mr. Galli Zugaro will have the chance to hear him lecture up close and personal, as well as being able to chat with him while kayaking along the river, or over drinks on the ship. We are excited to offer two exclusive founder-hosted cruises this coming fall with Mr. Francesco Galli Zugaro, both traveling through the Pacaya-Samiria National Reserve in the Peruvian Amazon. These cruises depart from Iquitos, Peru aboard the Aqua Amazon. These limited-edition departures will includes several special events that will offer guests insider access with the founder. Participate in interactive Q&A sessions, and learn about the man behind the Aqua brand during informal conversations over drinks. Learn about the company’s recent expansion from South America to Southeast Asia, and Francesco’s experience building three luxury river cruise boats, admired for their thoughtful design and construction. Most importantly, learn about what inspired Francesco to create Aqua Expeditions and experience the Amazon alongside him. Of course, the cruises will also be complete with all of the activities standard for an Aqua Amazon river cruise. The 8-day journey will include sailing along the Amazon river, exploring several connected rivers on skiffs, day excursions for spotting some of the rainforest’s exotic wildlife, and visiting local Amazonian villages where you will have the chance to interact with a shaman. Kayaking, canoeing, and swimming are all a part of the adventure, and you can be sure to see plenty of wildlife in the protected Pacaya-Samiria Reserve that you won’t find anywhere else. Those on taking the 4-day journey will get to experience plenty of adventure as well on a shorter schedule. Hike through the rainforest, visit a local village and shaman, sail on tiny outlet rivers and spot incredible wildlife up close and personal. Aqua Expeditions cruises are admired for their beautiful ship design, fine dining prepared by world-class chef Pedro Miguel Schiaffino, and excellent attention to detail in every aspect of guest service. Whether you have four days or eight, you can be sure every moment spend aboard the Aqua Amazon will be one you won’t forget. Interested in joining us and Aqua Expeditions for one of these limited-edition founder-hosted cruises through the Amazon? These unique 2016 departures are currently available for booking, however spaces are limited so you’ll want to act fast! Contact Us for more information about this special guest departure.